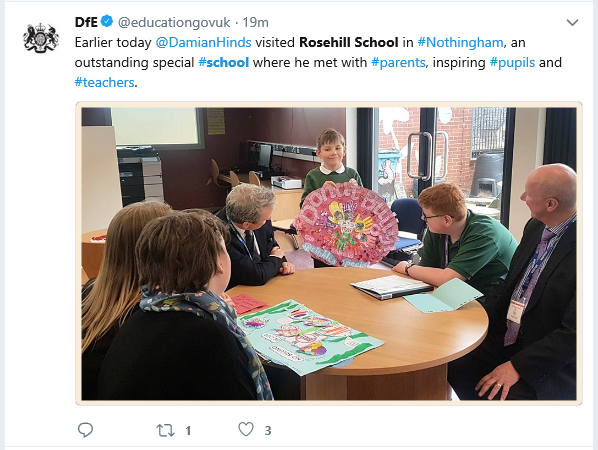 We were privileged to have a very special visitor to Rosehill School today. 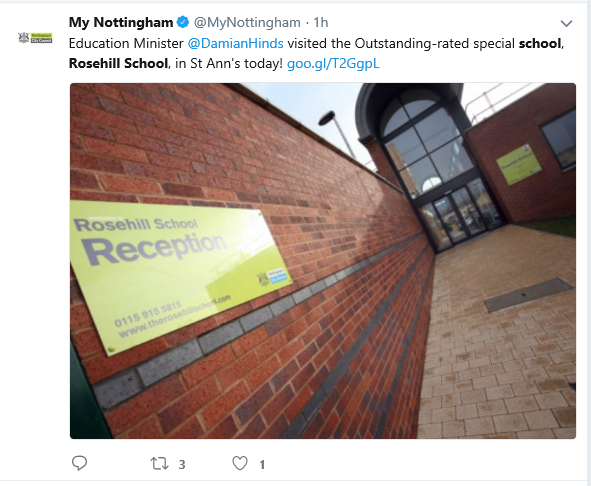 The newly appointed Right Honourable Damian Hinds MP, Secretary of State for Education chose Rosehill as his first special school experience. 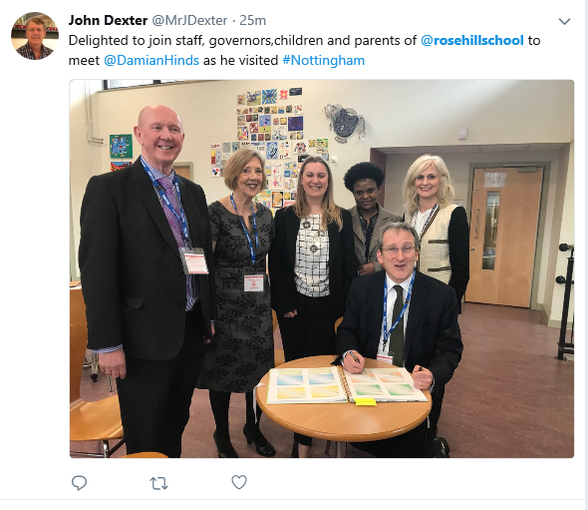 He met with pupils, staff, parents and Governors, and enjoyed taking part in our Science Week experiments, particularly exploring making bubbles, and gas and air experiments. He met with our Student council who shared with him some of the outstanding work we do. Please also follow this link for more information of our visit and we will also be sharing more in our Newsletter following the Easter holiday.